BOSTON—From the moment the keynote doors opened to the StackCity party at Fenway Park to the close of the last breakout session, the OpenStack Summit Boston covered all the bases. 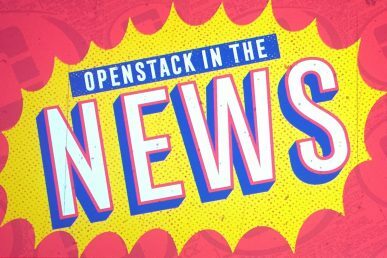 With a focus on new delivery models like Private Cloud-as-a-Service making OpenStack easier to consume, executing on multi-cloud strategy and collaboration across open infrastructure communities, we packed a lot of content and announcements into one week. If you didn’t attend—or even if you did and want a replay—Superuser collected the announcements, users and Forum discussions you may have missed. You can also catch all of the videos for the Summit sessions on the OpenStack website. 1) Remotely Managed Private Cloud opened shop in the OpenStack Marketplace. This new category, under private-cloud-as-a-service, delivers immediate value, cost savings and public cloud experience on-premises. It’s currently offered by nine vendors in the OpenStack ecosystem—Aptira, Canonical, Cisco, EasyStack, IBM, Mirantis, Platform9, Rackspace and UnitedStack. In addition to GE Healthcare, other users taking advantage of this consumption model are the Chemical Abstract Service and Tele2. 2) The OpenStack board of directors approved China Unicom and FiberHome Telecommunication Technologies as new Gold Members for the Foundation, joining 21 other Gold Members. Both new Gold Members demonstrate OpenStack’s strategic value for networking and large-scale service providers. 3) A new version of the OpenStack project navigator launched. It now features all user-facing services, in addition to sample configurations and new project mascot logos. The project navigator enables OpenStack users to dig deeper into individual project details, so they can make informed decisions on how to consume the software. 4) The Foundation has heard from users across telecom, retail and manufacturing who are interested in pursuing Edge Computing architectures on OpenStack, and in Boston announced new initiatives to enable collaboration across users and other open source technologies to speed up Edge deployments. 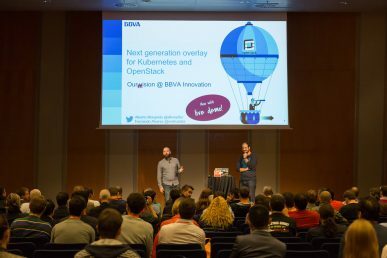 The ‘OpenStack on the Edge’ BoF was standing room only, and the community will continue discussions at a collaborative event called OpenDev scheduled for September 7-8 in San Francisco. 5) Surprising Boston Summit attendees and gluing them to their keynote seats, Mark Collier did a live interview with Edward Snowden, who provided a provocative point of view whether or not you support his actions. From a remote location, Snowden fielded questions that OpenStack community submitted via Twitter, including why open source infrastructure matters in regards to data privacy and the ethical implications of working in open source. Catch a transcript of their conversation here. 6) The new Forum concept debuted, bringing developers and operators to the same table for strategic planning discussions. Across four days, over 60 sessions were held to hack, discuss and plan for future releases. 7) Speaking for the first time, the U.S. Army Cyber School captivated the keynote audience with their story of educating soldiers with a curriculum powered by OpenStack using Heat templates. 8) Amit Tank and Sunil Jethwani announced that the new AT&T Entertainment Group offering, DirecTV Now is powered by OpenStack. OpenStack enables the platform’s viewers to flip between live TV and on-demand shows and even allows viewers to stream live events like this year’s Super Bowl. Looking to the future, Tank says that their team will be prioritizing containers on bare metal, functions-as-a-service and more usage of Kubernetes to make hybrid clouds more seamless. 9) Gap Inc., which deployed its first OpenStack cloud in 2013, pulled back the curtain for the first time last week in Boston. Gap powers its e-commerce and in-store systems with OpenStack, so when you buy from Banana Republic, Gap, Old Navy or Athleta, you’re using OpenStack. ComputerworldUK shared more insights from lead architect Eli Elliott and you can catch the full session here. 10) Driven by need for compliance, speed and flexibility, Patrick Weeks from GE Digital (Healthcare) spoke about how quickly he was able to migrate sensitive healthcare applications to the cloud using Rackspace’s remotely managed private cloud offering. 11) eBay shared details about their massive OpenStack deployment with 167,000 virtual machines, 68,000 bare metal machines and 13PB storage, which runs 4,000 applications and 95 percent of their business. Suneet Nandwani announced his team will open-source TessMaster, a management framework to run Kubernetes across multiple clouds and wants other OpenStack users to collaborate. 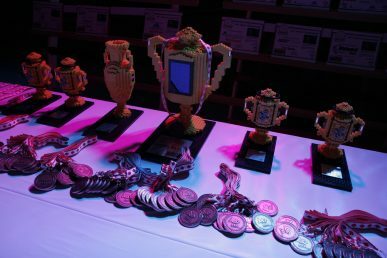 12) China Mobile passed the torch for the first ever Superuser Awards tie—Paddy Power Betfair and UKCloud won the sixth round of the awards after community rating and judging by the Superuser editorial advisors. 13) Verizon showcased a cloud-in-a-box system using OpenStack for edge computing that’s about the size of a home router. Beth Cohen, distinguished member of technical staff at Verizon, used data to show why they are looking to the edge: They have a 4LTE network available to 98 percent of the US population, a global IP network covering six continents, IP and data services in over 150 countries and seven security operations centers on four continents. 14) The UK Civil Service, working with Red Hat hosted by UKCloud, spoke for the first time in Boston about their cloud strategy and its effect on the process for UK companies to obtain import and export licenses, including a projected 50 percent cost savings compared to previous IaaS solutions. 15) SkyTV, the leading television provider in New Zealand, brought their experience building a hybrid cloud using OpenStack and AWS. They shared how their move to a hybrid OpenStack model enabled their provisioning process to be reduced from six weeks to three minutes. More from Superuser here. 16) The Oklahoma Medical Research Foundation (OMRF) shared how they use OpenStack Swift in a stand-alone deployment, integrating it with Docker and Hashicorp. With Swift, OMRF was able to solve their space problems and move to an active archive, which is durable and fast enough to be the primary storage for the scientific data sets and analysis on it. 17) At the end of the week, more than 30 technical leaders distributed across 13 countries from the Latin America, including the América Móvil and Claro teams, met in Boston with members of the OpenStack Foundation to discuss plans, challenges and collaboration opportunities to achieve their open infrastructure innovation goals. 18) Amadeus IT Group, a leading technology partner for the global travel industry, announced deployment of an enterprise private cloud based on VMware Integrated OpenStack (VIO) to support digital transformation initiatives. A supporter of and contributor to open source projects, Amadeus selected OpenStack because seeking a platform conducive to agile development. 19) The Massachusetts Open Cloud (MOC), an initiative dedicated to the creation of publicly available cloud-computing resources for running big data workloads, has standardized on Red Hat OpenStack Platform and Red Hat Ceph Storage for its open, scalable and flexible cloud infrastructure. MOC was formed by a consortium of private and public institutions, including Boston University, Harvard University, Northeastern University, MIT and the University of Massachusetts. 20) The University of Messina and Fujitsu worked together to further develop the Smart City of Messina. The University of Messina developed Stack4Things, a framework to collect and send information from devices to an OpenStack Cloud. Monasca, the OpenStack monitoring service, analyzes and presents the measured data. Monasca monitors the health of the devices, too. 21) GARR, Italy’s leading research and education network consortium, created a countrywide federated OpenStack cloud using Ubuntu OpenStack and Canonical’s model driven operations tools, MAAS and Juju. GARR manages a fiber-optic network of 15,000 kilometers responsible for high-performance connectivity and advanced services to around 4 million users and over 1,200 research institutes, universities, research hospitals, cultural institutions, libraries, museums and schools. 22) The Oak Ridge National Laboratory (ORNL), the largest U.S. Department of Energy science and energy laboratory, also announced it’s using Red Hat’s OpenStack Platform to deliver cloud services in its Compute And Data Environment for Science (CADES). For more OpenStack user stories, check out all of the sessions from the OpenStack Summit Boston case studies track. Oh, and we’re always interested in hearing from the community—contact editorATopenstack.org to share your use cases. 23) 15 global IT leaders deployed the CockroachDB cloud-native application on Kubernetes on top of OpenStack in the latest version of the Interop Challenge. The demo successfully showed that containers can run smoothly on and across multiple OpenStack clouds and that distributed enterprise database systems can be deployed automatically using open source tools such as Ansible and OpenStack Shade. All 15 participants successfully deployed the cloud-native application, including Open Telekom Cloud and Vexxhost running directly on their public clouds in production. 24) Julia Kreger, a developer advocate at IBM bootstrapped a mini-data center on a DellEMC rack, with Kubernetes running on bare metal servers using Ironic and Neutron. 25) John Griffith, principal software engineer at NetApp and Kendall Nelson, OpenStack Foundation, upstream developer advocate, joined Kreger and Foundation COO Mark Collier onstage to deploy Cinder as an independent service using Docker. This makes it easy to consume the block storage service alongside other technologies, such as Kubernetes. Live demo fates aside, check out the demo here. 26) Jakub Pavlik, director of product engineering at Mirantis demonstrated the power of one platform for bare metal, VMs, and containers with a big data application, utilizing Spark, Kafka, and Hadoop Distributed File System on a common OpenContrail-powered network. He performed real-time social analysis that updated throughout the demo, showing the popular Twitter hashtags in the Boston area, including #OpenStackSummit. 27) The community wide goals for the OpenStack Queens release were selected for proposal to the Technical Committee and the community not in attendance at the Forum. These goals include finer RBAC support, managing functional tests and completing API reference documentation. 28) In the log messages session, an implementation of error codes within logs using exception names was discussed. Logs across services will include unique request IDs in all log messages related to a specific request. 29) At the request of large-scale users like Yahoo! who have said that dnsmasq doesn’t scale to fit their needs, operators and developers discussed the need for support for DHCP servers other than dnsmasq like KEA DHCP. 30) There was an overwhelming amount of support for etcd v3 as the distributed lock management solution. 31) The community will begin transitioning from supporting multiple database solutions to focusing on improving usage with MySQL for better testing and performance. 32) With a whole Forum session dedicated to making simple use cases with Neutron easier, a plan was formed to document and make consistent the process a virtual machine (or other compute instance) can take to configure its networking interface(s). 33) Back by popular demand, 34 project team leads (PTLs) provided project updates to Summit attendees, sharing the latest features and what can be expected in the Pike release. In the upcoming weeks, the videos will be uploaded to the new project navigator. 34) A group of researchers and technologists from around the world gathered in the first of a series of open cloud congresses at the OpenStack Summit Boston and onsite at MIT. Under the title of the Open Research Cloud Declaration, this group intends to begin the dialogue on, and develop draft conventions to enable a more effective interlacing of the international scientific community. The declarations from the congress will be circulated at subsequent events in Australia and Europe, with the objective of encouraging further discussions and contributions towards a set of conventions that all can be signatories to. Stay tuned for more info! 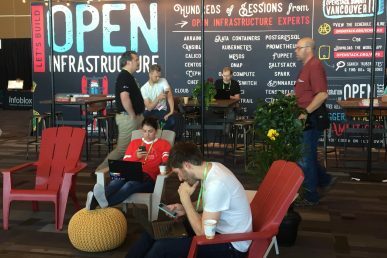 35) The OpenStack Summit invited relevant open source communities to participate in the first Open Source Days, dedicated tracks run by the various communities for education and collaboration across projects. Ansible, Ceph, Cloudily, Cloud Foundry, FD.io, Kubernetes, OpenContrail, Open Daylight, Open Switch, Open vSwitch and OPNFV all hosted mini-events in Boston. 36) On the last day of the Summit, 11 community members were recognized by the Community Contributor Awards, with quirky categories like the Duct Tape Award. A special trophy—awarded by the OpenStack User Committee—was handed to Tom Fifield for his dedication in fighting for the users. 37) Animbus® Cloud OS is the OpenStack-centric product developed by 99Cloud with further development and optimization in computing, storage, network, image, authentication, telemetry and other modules. Compatible with heterogeneous virtual software, server, storage and network equipment, it offers a one-stop solution for an enterprise cloud computing platform that’s easy to scale and highly available. 38) China Mobile signed a memorandum of understanding (MoU) with UMCloud (Mirantis in China), ARM, Cavium and Enea, the third batch of companies to partner with the China Mobile Open NFV lab. These partners will carry out a series of tests with multiple NFV typical scenarios and services. 39) City Network announced that its OpenStack-powered public infrastructure service City Cloud, has joined Interxion’s Cloud Connect platform. Enterprise customers can now connect directly with City Cloud through City Connect. This enables customers to extend their network with high speed and secure connections to City Cloud points of presence in Interxion’s Stockholm, London and Frankfurt campuses. 40) EasyStack launched ESContainer, integrating Kubernetes and OpenStack technologies. ESCloud focuses on the data center infrastructure management and supports the operations of traditional business applications while ESContainer focuses on providing a one-stop platform for the transformation of applications in the new enterprise. 41) Fujitsu and Mirantis announced a partnership to collaborate around integrating Mirantis Cloud Platform with Fujitsu’s hardware, software and support capabilities. Building on a wide range of private cloud offerings, Fujitsu will add a new privately managed global OpenStack based cloud on the Mirantis Cloud Platform, launching June 2017 in Japan followed by other regions. 42) HPE launched HPE Helion OpenStack 5.0, the latest version of their enterprise-grade distribution of OpenStack based on Newton. 43) Inspur released the latest version of In-Cloud OS 5.0, completely based on the OpenStack architecture and offering functionality, availability, security and toolchains to further extend the cloud service directory. It uses a micro-service architecture to support rapid deployment on Docker, providing automatic perception, intelligent management and automated service delivery. 44) NetApp introduced the latest version of its next-generation object storage software, StoargeG. The latest enhancements include StorageGRID Webscale, more software deployment options, including Docker container support and installation on bare-metal servers as well as simpler OpenStack storage deployments with Keystone integration, Swift access control list (ACL) support, and Heat-less deployment. 45) Red Hat OpenStack Platform 11, the latest version of Red Hat’s massively scalable and agile cloud IaaS, was released. Based on the OpenStack Ocata release, Red Hat OpenStack Platform 11 delivers enhanced support for upgrades with composable roles, new networking capabilities and improved integration with Red Hat CloudForms for cloud management. 46) NEC participated in trials with Red Hat to confirm the feasibility of KDDI’s next generation integrated platform, which includes infrastructure and IaaS, and can operate with multiple types of systems. KDDI provides high-quality communication and services in line with the company’s life design strategy. In the future, as 5G and IoT services become more prevalent, it’s expected that development and operation of fast and efficient services will be necessary on a larger number of servers and infrastructure. 47) Rackspace announced a partnership with Dell EMC to deliver OpenStack private clouds with leading compute and storage solutions from Dell EMC. They’ll combine Rackspace’s operational expertise with Dell EMC compute and storage solutions to offer an easy-to-consume, private cloud-as-a-service offering. It’s the first step in an expanded relationship with Dell EMC in which both companies will help lower the barrier to entry for private clouds and deliver rapid private cloud elasticity through a utility-based consumption model. 48) After a lot of optimization efforts in memory and TCP connections management, the Shanghai Engineering Research Center for Broadband Networks and Applications announced the latest version of DCFabric can support 3,000 switches with one instance. The new HA solutions of DCFabric, which has been testified at some practical environments, were also introduced. 49) Storage Made Easy launched storage provider support for Keystone v3 with OpenStack Swift. Some of the top governance features include enhancements focusing on PCI DSS. These include PCI DSS notifications, password requirements API, lockout rules and immediate password rotation. 50) SUSE announced OpenStack Cloud Monitoring, an open source software solution that simplifies monitoring and managing the health and performance of enterprise OpenStack cloud environments and workloads. 51) Verizon has expanded its Virtual Network Services product offering by adding x86-based whitebox options, leveraging OpenStack, to its universal customer premises equipment (uCPE) portfolio. Verizon’s uCPE eliminates the need for enterprises to invest in separate hardware appliances for critical virtual network functions (VNF) such as software-defined WAN (SD-WAN), security, routing, WAN optimization, or any other network function that can be virtualized. 52) VirTool Networks Inc. released VirTool Network Analyzer, a tool designed to simplify the process of fixing network problems on OpenStack. VirTool Network Analyzer delivers complete layer 2 virtual network visualization along with advanced packet capture and traffic tracing capabilities. It allows network engineers to identify the cause of failures in a fraction of the time compared to conventional methods. 53) vScaler announced a partnership with Datera to provide storage-as-a-service on OpenStack. This new partnership between vScaler and Datera will deliver scalable private clouds for a wide variety of workloads, from high-performance databases to archival storage. That’s a wrap for the Boston Summit — but we’re not unpacking our suitcases just yet. There are 16 OpenStack Days, regional community-organized events, scheduled across Europe, Asia, Australia and Latin America in the next four months, so check out the full schedule. We also can’t wait to get the global community together again at OpenStack Summit Sydney, November 6-8, 2017. See you there!